Many curious travellers are keen to experience authenticity on their holidays and avoid tourist traps. While Amsterdam is a must-see for any visitor, the Netherlands is also home to many weird and wonderful villages. The Dutch are historically a seafaring people, and the history of the landscape and the culture can still be found in these small settlements, untouched by time. In this post, we’ll take you back in time to the top 10 most authentic Dutch villages in Holland. The oddly-named village of Urk is situated in Holland’s youngest province, Flevoland. Right on the water’s edge, Urk is a centuries-old fishing village on the Ijsselmeer lake. Formerly, Urk was actually an island, which explains why it’s retained so much of its old-world charm. 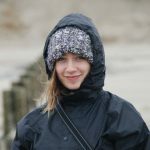 People living in Urk speak one of the oldest and most distinctive dialects of Dutch in the Netherlands, with some words having seemingly no connection to standardised Dutch. For example, the word for Father in Urkish is Taote, considerably different from Vader in Dutch. Many bizarre Urkish folktales still exist today, the most prominent being the tale of the “Ommelebommelestien”. This folktale is typically told to children when they are asked where babies come from. According to villagers, people from outside of Urk are born in cabbages, whereas Urkers come from a large stone just 30 metres from the shores of the island. 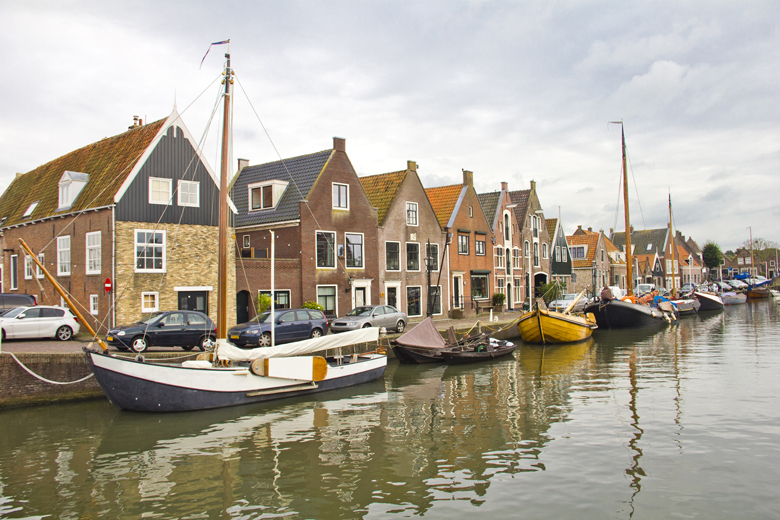 While here, you’ll have plenty of opportunities to eat smoked eel, relax in the sleepy harbour bars and enjoy a boat trip around the Ijsselmeer. You can also enjoy the Ijsselmeer and the surrounding villages in a cycle trip around the Ijsselmeer. Stavoren is another town bordering the Ijsselmeer lake, but this time in the province of Friesland. Stavoren became very prosperous in the middle ages due to trade with England, but gradually declined when a sandbank mysteriously formed in front of the harbour, blocking merchant ships from entering. Residents have since pondered the origin of the sandbank, with the Lady of Stavoren being the most circulated and legend. According to folklore, the Lady of Stavoren was once a rich merchant widow who was driven insane by her greed. In her search for ever more wealth, she sent a captain of her fleet out to find the greatest treasure on earth. He returned with a boat full of wheat. In her anger, she threw the wheat overboard and into the harbour. As the wheat grew, sand collected between the stalks and built up into a sand bar which is, to this day, known as “Lady’s Sand”. 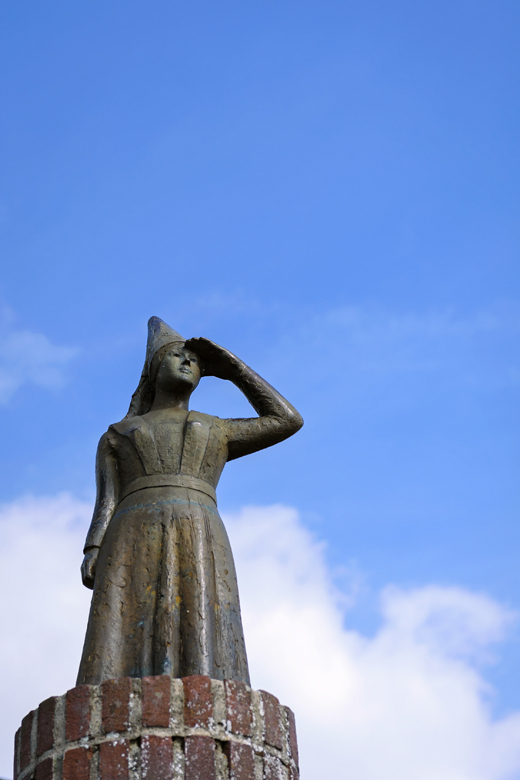 A statue of the Lady of Stavoren still looks out to the harbour in search of her lost riches. 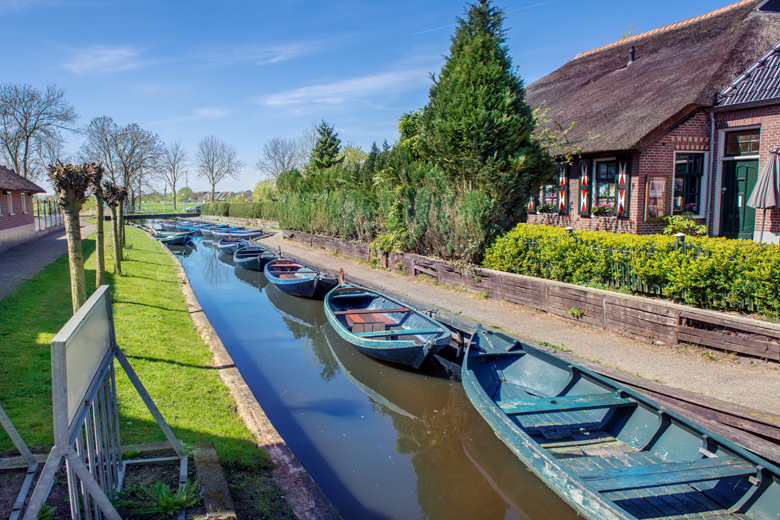 We’ve covered Giethoorn quite extensively in our blog, but couldn’t miss it in this article. 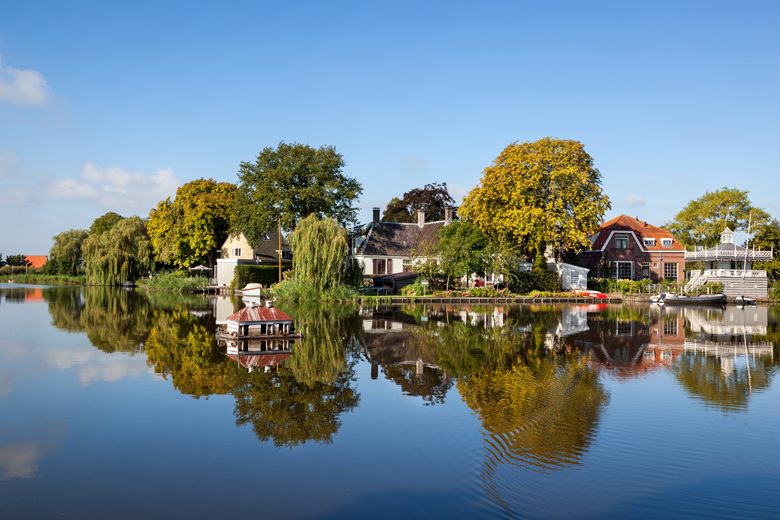 When it comes to authentic Dutch villages, Giethoorn tops the list. Also known as the Village with No Roads and the Venice of the North, Giethoorn exudes quaintness and charm. The Instagram famous village is made up entirely of canals and thatched cottages, with 176 wooden arch bridges providing the only footpaths in the village. Apparently, even the postman does his rounds on the water. The village was founded by a group of fugitives, who reportedly named the town Giethoorn (Goathorn) after finding a huge supply of goat horns in the area. Broek in Waterland is situated in the picturesque municipality of Waterland, just 5 miles northeast of Amsterdam. Being here feels like wondering through the pages of a romantic novel. Built around a beautiful lake, the village is made up of 17th century wooden houses and cobbled streets. To the pride of its residents, Broek in Waterland is known as “the cleanest town in all the Netherlands”. In fact, residents and visitors alike are known to walk barefoot through the village. The colours of the houses are differentiated according the class. Gray houses traditionally belonged to the working class, whereas the houses of the upper class were adorned with a purple tint. The Bead Gardens are also unique to this village. Dutch sea merchants used to trade blue glass beads with other cultures. When they returned to Holland with beads left over, they decorated their gardens with the beads. 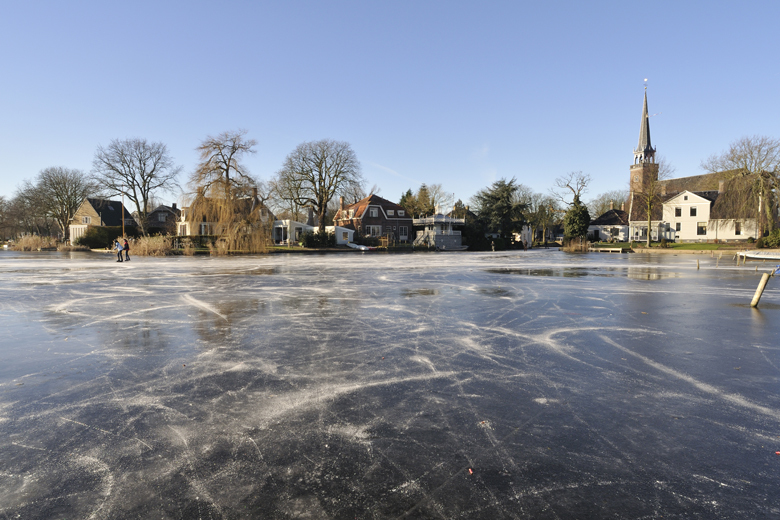 If you visit during winter, the lake is frozen and you can participate in, or watch, one of the most popular Dutch hobbies: ice skating! Naarden is a beautiful town in the vibrant green Gooi region of the Netherlands. The town is fortified in the shape of astar, a style which was popular in 16th century Europe. 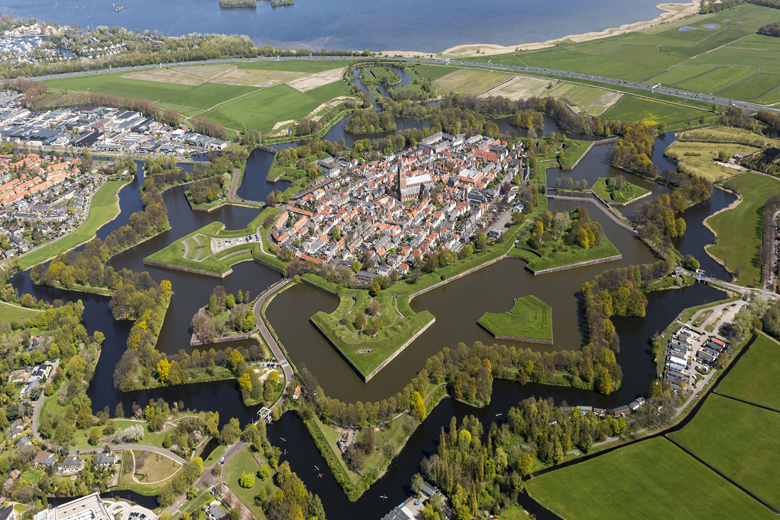 Naarden is the only fortified town in Europe which has a moat and double walls. The fortress museum is well worth visiting. You’ll get a chance to learn all about the underground casemates and the history of the garrison town. 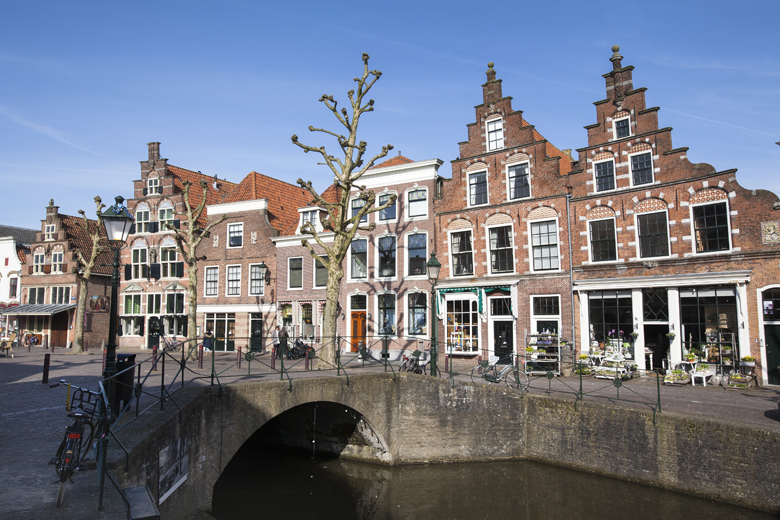 The green surroundings and incredible history make this village an excellent day trip, and Naarden is just a 30 minute drive from Amsterdam. 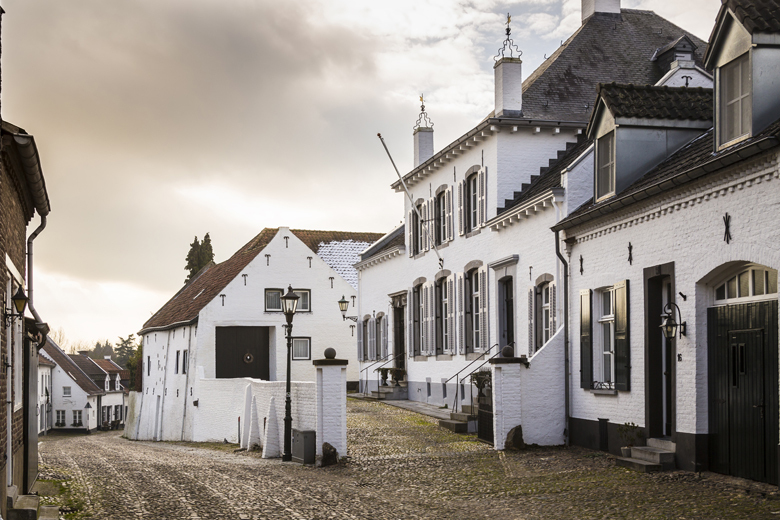 Ouddorp, which literally translates to Old Village, is situated on theisland of Goeree-Overflakkee, which in itself has a fascinating history. Goeree and Overflakkee used to be two separate islands until the Statendam was built in 1751. The water was both friend and foe to the people of Goerenflakkee, and a disastrous flood hit the village in 1953 which drowned almost 500 people. The villages of Dirksland, Mellissant and Ouddorp were the only ones to remain above water. Since then, the island has been connected to the mainland with dykes in order to protect the residents. 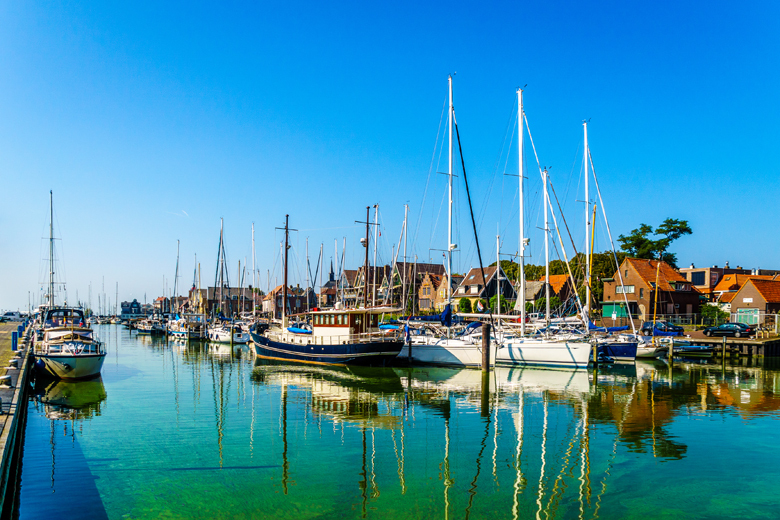 Ouddorp is the second largest town on the island and retains the sleepy charm of an old fishing village. 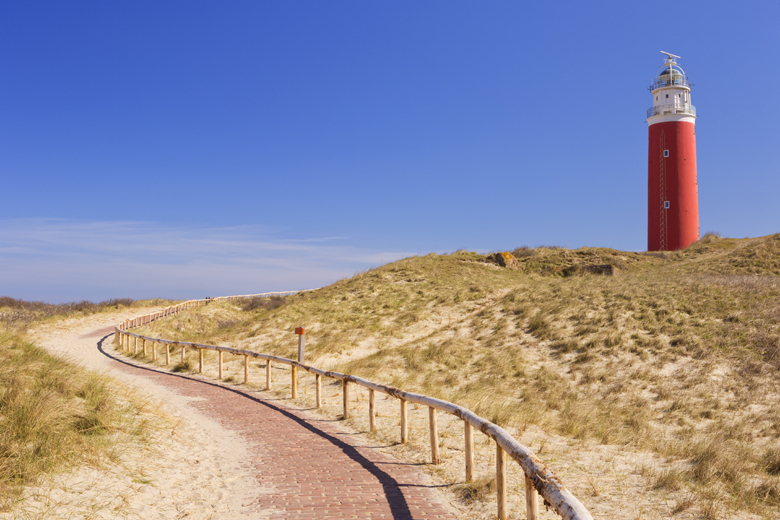 Surrounded by dunes and long stretches of beach, Ouddorp is an undiscovered jewel of the Dutch coast. Thorn is a beautiful little town nestled in a valley in the hilly province of Limburg, close to the Belgium border. Known as the “white village”, Thorn was established around 990 as a monastery for noblewomen. The noblewomen fled the village in the late 18th century to escape the French, and a large number of poor people came to live in the town. The French then charged taxes to the poor according to the size of their windows. Since they couldn’t afford the levy, their bricked up their windows to lower the charge. In order to hide the difference between the old bricks and the new, they painted their houses white, hence the nickname. Monnickendam is a village on the banks of the Markermeer and was founded by monks in the 14th century, hence the name, which translates as “Monk’s dam”. A charming little fishing village, you can expect to catch evocative whiffs of eel being freshly smoked in one of the historic smokehouses as you walk through the streets. Along the harbour, you’ll find well-preserved monuments, trawlers and architecture. Many of Holland’s historic fishing villages are near Monnickendam on the banks of the Ijsselmeer, such as Volendam and Marken. Oudewater is the only village on the list situated in Utrecht, the green heart of the Netherlands. These village is most commonly featured on the most beautiful villages and towns in Holland, but it’s also got some very strange quirks. Besides the beautiful canals and atmospheric market square, the village has a dark history to conceal. In the past, each village had its own weighhouse where the merchants could weigh their goods before selling them. A few centuries ago, however, the scales in Oudewater were used to weigh women who were accused of witchcraft. Back then, it was believed that witches weighed almost nothing. How else would they be able to fly on broomsticks? Oudewater became well known for these weighing tests. The Wadden Islands are such a unique part of the Netherlands, totally cut off from the mainland, and their villages reflect early island life. Terschelling is the second largest of the Frisian Islands, characterised by tidal marshes, forests, dunes, and long stretches of coastline. The island is also home to plenty of traditional farmhouses producing cheese and ice cream, as well as the beautiful Boschplaat nature reserve. 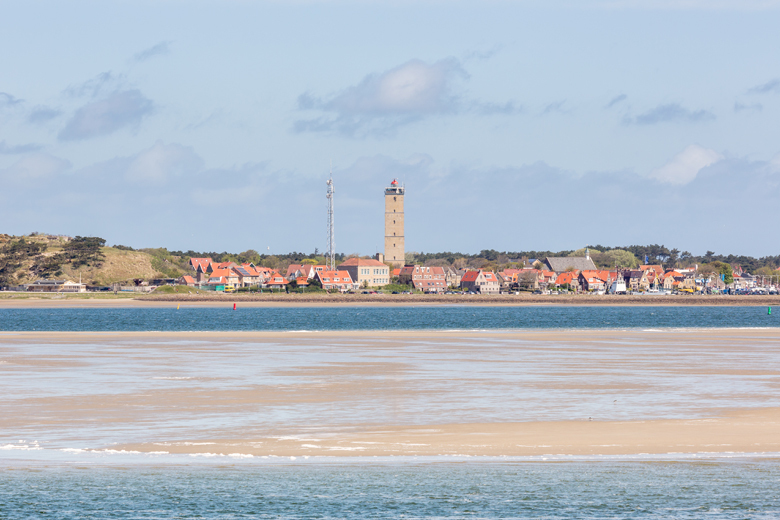 The village of West-Terschelling is the largest on the island, despite being burned by the English Navy in 1666 during the Second Anglo-Dutch War. On West-Terschelling, you can expect cosy Dutch pubs serving traditional food and beer and glimpses of the milkyway at night. Do you know of any other authentic Dutch villages that we’ve missed? Let us know in the comments below!